According to Ultra-modernity, everything that is said now will be claimed wrong within, say, twenty years. Remember, though, that you will be a grandparent yourself. So, are you ready to be thrown in the trash can in your days of old? Or will you simply refuse to grow old, considering aging a disease and trying to stop it? Because these are the days we are living: we will have to work hard for the right of being both right and old. There is a very simple test that you can make, even if you do not know much about Geopolitics or Political Philosophy, to see on what side you are. It goes like this: if your people/territory/identity accepts most tenets of the Western culture, will the best ways of your grandparents fade or will they blossom? Unlike Dugin, for Freedland there is only one truth in the world, which cannot be questioned at all. The British journalist completely ignores the so-called autonomy of the political, such as the fact that politics is not based on rationality, but on irrationality. As we learn from the German jurist Carl Schmitt, politics means acting to defend or impose a particular type of collective existence, beyond what is morally right or wrong and what is objectively true or false. Freedland is very surprised by the actual trend towards a «deeper and more bitter partisanship», but this fact only means that what is happening in countries like his own it’s simply the return of politics in contexts from which it was almost gone. 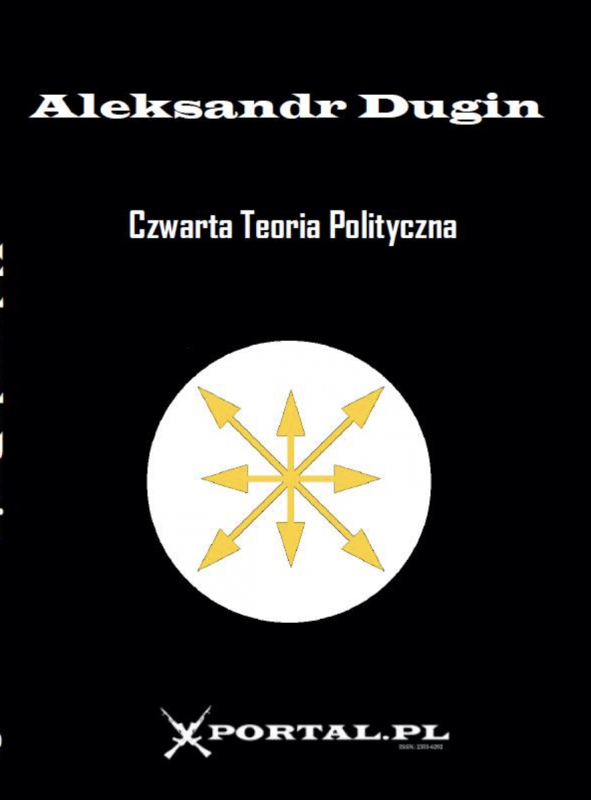 Politics divides people into different groups, which are aggregated around a particular “speech”, or a particular “narration”, or, as Dugin teaches us, around a particular “truth”. To Trump’s supporters (like those of any other political leader) doesn’t matter if what their leader says is true or false; they only identify themselves in him and in his political view. So politicians like Trump are neither “engaging in post-truth politics” nor lying, but they are only making politics. Furthermore, Freedland should understand that in politics there are indeed no referees, but only players. In fact, there are referees only when there is someone who commands on all the others and who has the monopoly of the truth. As soon as even a vertically-oriented political system becomes inertia or something ready-made and given, then it begins to fall, to collapse. If instead of as a free establishment we take the monarchical, imperial, traditional, and caste vertical to be a fact, something given, and once we no longer re-affirm such at each stage, then sooner or later we will fall into the dustbin of modernity and its last logical accord - the political philosophy of the Mother. The problem is where can we find the fulcrum? The Modernity and Post-Modernity - precisely by means of Third Totalitarianism (this time liberal one) - have destroyed already the humanity and replaced it by the assembly of individuals (human rights doctrine). Refusing normative subject of all-pervading liberalism (individual and - in the near future - post-human species) we are in the void because liberalism doesn’t accept institutionally (!) any form of non-individual onthology and anthropology. And the pre-modern version of subject, of human nature are considered to be obsolete and miserable – in the extreme case criminal. If we insist nevertheless they will qualify as the residui and treat us in the same manner as in the first stage of Enlightenment - simply killing us as Jacobins and bolsheviks killed the Christians priests and princes. May be it is an option for certain men and women. The way of martyrdom is great path. In neo-realism, “hegemony” is understood in a global (structural) context. The main difference from classical realism lies in that “hegemony” cannot be regarded as a regional phenomenon. It is always a global one. The neorealism of K. Waltz, for example, insists that the balance of two hegemons (in a bipolar world) is the optimal structure of power balance on a world scale. R. Gilpin believes that hegemony can be combined only with unipolarity, i.e., it is possible for only a single hegemon to exist, this function today being played by the USA. The people as a political concept is appearing today in opposition to liberalism. The liberals are hollering about a fascist or communist-fascist threat, and they are incapable of understanding the essence of the populist moment, which they interpret through old clichés. Hence why they are losing. Hence why they are doomed. And yet both left and right are unanimous in thinking that this is only a moment, a limited period of time, a kind of quantum in historical movement. Probably no one can say whether the People and consequently populism is a system, program, strategy, or merely a temporary correction on the path of liberal globalization. The globalists had their moment in the early ’90’s – the unipolar moment. They ruined everything they could over thirty years, turning globalization and the unipolar world into a hideous caricature. The reformers in Russia in the ’90’s did the same with democracy. Now a different moment is arriving. The people is appearing on the stage of world history. This is a chance, a risk, a responsibility, and a challenge. But it is our moment. Not utilizing it would be a real crime. Yes, that’s right, not taking advantage of such a populist moment would be foolish and even criminal. But is there such a crime that we have not yet committed? Alas, everything rests on our shoulders. Nevertheless, this is a wonderful, open opportunity for a true alternative, a Russian alternative. In order to escape this coded field of coded thinking, we need to deconstruct all of modernity. If we transcend the borders of modernity, we see a different society, a different notion of man, a different view of the world, a different notion of politics and the state. First of all, we finish the Cartesian subject and see something else. Let’s search for what there is in this other world. In sociology, this is called the transition from modern society to traditional society. The notions of tradition, religion, and pre-modernity already offer us an undoubtedly broader spectrum of alternatives. If we reject the laws of modernity such as progress, development, equality, justice, freedom, nationalism, and all of this legacy of the three centuries of philosophy and political history, then there is a choice. And it is in fact very broad in the least. This is what I have been saying. This is traditional society. 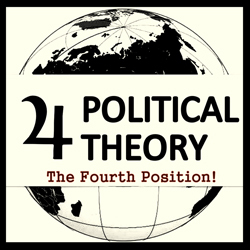 Elite of Fourth Way will collide with demagogues and hysterical "leaders", that a wave of new nationalism inevitably will bring to the front as the foam on the surface of fermenting sea. And the battle begins now. It would be better that neo-nationalist monster would be strangled in the cradle. But it is about to appear. One of the most important points of the Theory of Multipolarity refers to the nation-state. The sovereignty of this structure has already been challenged during the period of ideological support for the two blocs (the “Cold War”) and, in the period of globalization, the issue acquired a much sharper relevance. We see the theorists of globalization also talk about the complete exhaustion of the “nation-states” and about the necessity of transferring them to the “World Government” (F. Fukuyama, before), or about the belief that nation-states have not yet completed their mission and must continue existing for a longer time with the purpose of better preparing their citizens for integration into the “Global Society” (F. Fukuyama, later).